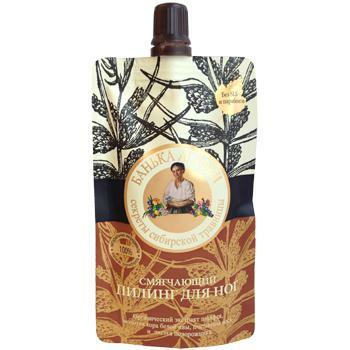 Softening Foot Peeling is produced by the Russian beauty brand Agafia’s Bath. The product is formulated with 100% natural ingredients. The peeling effectively cleanses and softens rough skin of the feet. Its natural active ingredients generously nourish the skin, stimulate skin regeneration and prevent dehydration. Regular use of the product makes your feet incredibly soft and smooth. Plantain extract has healing and antiseptic properties, it helps to accelerate the healing of minor skin injuries. Beeswax protects the skin from dehydration and makes it softer. White willow bark powder removes dead epidermal cells, contributes to moisturising and nourishment. Organic sage extract has a soothing effect. Directions. Apply a small amount of peeling onto dry skin with light, circular motions. Rinse with warm water. Ingredients. Aqua, Glycerin, Stearic Acid, Capric/Caprilyc Trigliceride, Cetearyl Alcohol, Helianthus Annuus (Sunflower) Seed Oil, Polyethylene, Coco-Glucoside, Sodium Hydroxide, Beeswax, Xanthan Gum, Plantago Major Leaf Extract, Organic Salvia Officinalis Leaf Water, Salix Alba (Willow) Bark Powder, Parfum, Citric Acid, Benzyl Аlcohol, Benzoic Acid, Sorbic Acid. Want to buy Softening Foot Peeling? Call us or submit your order via our web site!